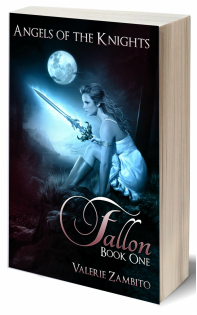 When Fallon died at the age of sixteen, her life changed forever. The hallowed world of Emperica is everything she had ever hoped for as a mortal—immeasurable beauty, unconditional love and light. But, with affection for humankind still burning within her, she joins the Knight Caste to train as an angel warrior. When her duties place her in the path of handsome former cop, Kade Royce, emotions buried long ago rise to the surface and she is powerless to ignore the depth of her feelings for this young man. Ignoring the risks, she invites him into her world of danger, but soon their lives collide with explosive consequence. As a result, Fallon realizes with heartbreaking despair that she can no longer hide from the painful truth. In order for Kade to live, she must destroy him.